Apply for Car Tax at DVLA now! Car owners in UK have to display the car tax disc on their vehicles and for this purpose, each vehicle owner must have the car tax disc. This disc can be obtained either through the post office or through the internet. Buying new car tax online is a fairly easy task with the user friendly website established for the purpose. The website allows for easy application for the car tax disc. Car owners can also get the Statutory off Road Notification or SORN if their car is going to be off the road. For a new car tax disc registration, an applicant needs the number plate and 11-digit reference number which is mentioned on the V5c registration logbook or document of the car. Once the applicant is ready with the said reference number and the number plate, he/she can continue with the application for the car tax disc. The website mentions the steps to be followed for the purpose. The first of these steps is to answer the necessary questions regarding the car tax. These include questions on car tax insurance, valid possession of MOT certificate and whether the applicant is a registered keeper of the vehicle or not. The next step is to enter the details of the car which include the number plate and the 11-digit reference number. The input of these numbers would display the registration number and the make of the car. If these are correct, the applicant must click ‘next’ to continue. The website checks for the validity of the MOT certificate and the car insurance. If these details are correct, the applicant is encouraged to choose the type of tax disc wanted. There is a choice of six months disc or twelve months disc. Once the choice has been made, the applicant must make the payment through a debit or credit card. 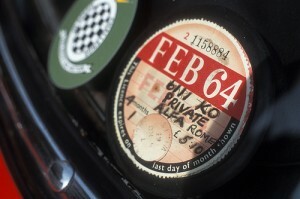 After checking the details of the tax disc, the applicant can finally print the car tax disc.